I’m Ruth Sharif, a nutritional therapist and an enthusiastic barreworks studio member! When it comes pre and post workout fuel, there are so many different sources of advice, it can difficult to know exactly what we should be doing to get the best results. So let’s have a look at some principles and practical suggestions (tried and tested by me also! ), that will help optimise your barre training but won’t compromise the hard work you have put in and negate the fat burning benefits. It is worth saying that the premise for a nutritionally sound diet is similar, whether you are training or not. Aim for nutrient dense diet, with plenty of antioxidant rich vegetables and fruit, and which critically has a low impact on blood sugar levels (low glycaemic index or GI foods). 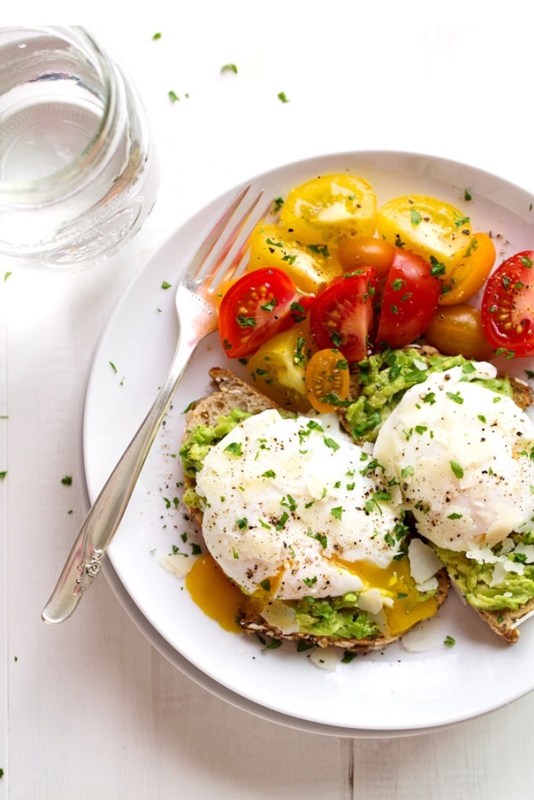 Having protein with each meal or snack reduces the blood sugar impact of your food and choosing “slow” or low GI carbs that release energy slowly as well as including healthy fats is key to getting this right. Regulating blood sugar is the key to optimising our body composition and energy levels. It also hugely impacts our mood and hormone balance. Your own personal training goals, as well as the time of day that you plan to exercise, will then determine the balance between the different food groups. If your goal is to lose body fat, avoiding carbs before training can be helpful as it is the most easily converted form of energy and your body will tend to use the carbs you have just eaten as it’s fuel source when exercising rather than body fat. Therefore if we avoid carbs pre-exercise, we can help train our body to use stored fat as fuel. The time of day is of course relevant too; an early morning workout is the perfect time of day to train on empty and most people can manage this fine. However (! ), it’s important to understand your own body and how it best functions. There is no point starting off a session and running out of steam half way through. A good option is a light protein containing snack about 30-60mins before exercise. This could be a piece of fruit WITH some nuts or a protein/berry shake, which is easily digestible. If you are a coffee drinker and feel like an early morning boost before the studio, a shot of good coffee (not instant!) with a spoonful of coconut oil is helpful for fat burning as it can boost metabolism by up to 20%. But do ensure you have a “recovery meal” after completing your workout. Many people try to avoid carbs these days, but for those doing endurance training or planning to combine a barre workout with some cardio before or after for example, they are a very efficient form of fuel. Good choices are low GI carbs such as brown/wild rice, quinoa, sweet potato and squash. These should be combined with protein and ideally eaten a couple of hours before an intense training session. What to avoid eating before a workout? Sugar and sugar containing foods! It disrupts blood sugar control and hence our fat burning potential. The energy boost you feel from sugar may be immediate but it is unfortunately short lived. Many “healthy” granolas or cereals contain a large amount of natural sugars due to their dried fruit content so be wary! A large meal: sounds obvious but digesting food needs proper blood flow and exercising pulls blood away from your digestion. So wait a few hours after a heavy meal so that your stomach is empty and nutrients are fully digested. Don’t skip recovery nutrition. Some people think they will continue to burn more calories if they do, but thankfully this is not the case! Post-workout nutrition actually raises our metabolism and calorie burn rate and increases lean muscle building. Muscles use glucose most effectively just after exercise so it’s the ideal time to eat. After a barreworks class (and when legs may still be a little shaky! ), naturally we need to re-fuel and really enjoy our well-deserved food. It’s worth remembering however that during the workout, all those body sculpting muscle movements will have created tiny tears in our muscles, and protein is key to repairing these. 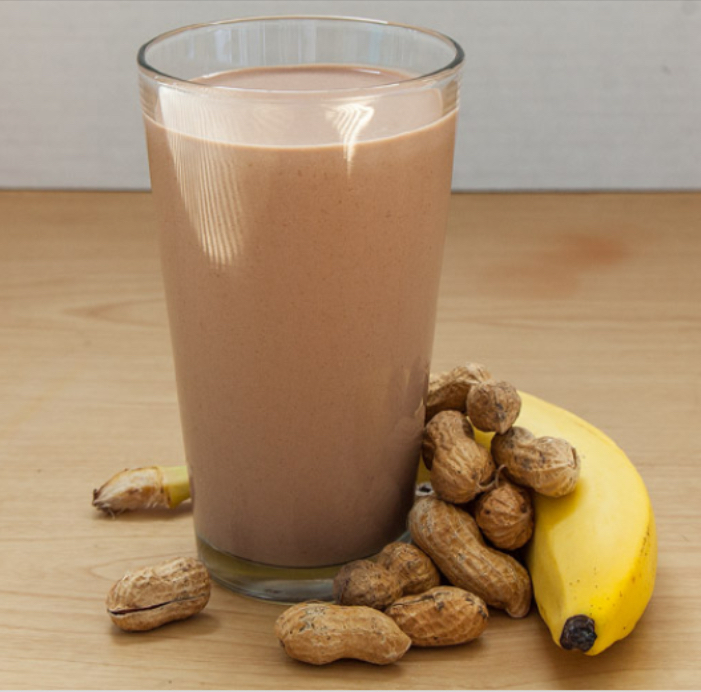 Having a few nuts or a protein shake within 30 mins of the end of the workout aids this recovery but then aim to have a balanced meal, with a combination of protein, low GI carbs (brown/wild rice/quinoa/oats) and healthy fats within the next 90 minutes. After a morning class, it’s difficult to beat eggs (any which way) for breakfast. Together with some greens, easy to digest wholemeal spelt bread, this is a protein and nutrient rich, blood sugar balancing meal. 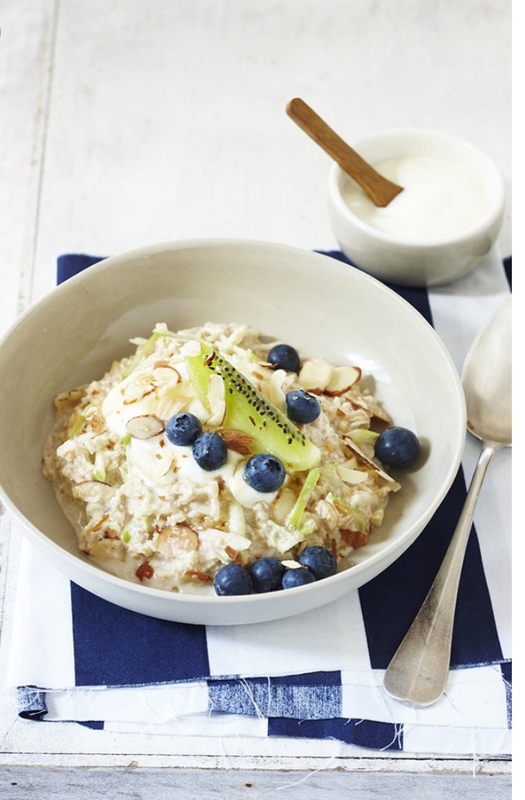 Another favourite of mine is a homemade protein rich bircher muesli (recipe shared below). Top tip – even if you are flying out the door, a piece of toast (sourdough or spelt ideally) with some almond butter is far better than toast alone as the protein in the almonds means it has a lower impact on your blood sugar. No discussion about nutrition would be complete without the subject of water! Even though the weather has turned, we still need to drink plenty to stay hydrated. A mere 2% level of dehydration equates to about a 10% decrease in performance and can also contribute to cramping. If you are indeed prone to “cramping when pointing”, it may be helpful to include some more magnesium in your diet. Green leafy veg are a great place to find magnesium and I’m happy to advise you on a good supplement which you can take either in the evening or alongside your recovery drink. in the morning mix well and add a good sprinkle of ground cinnamon for taste and for it’s great blood sugar lowering properties. How can ballet training enhance athletic ability in other sports..?